Template:/l is a term used to refer to the result of taking any old ordinary, unremarkable sheep, and setting it ablaze. In comparison with an everyday, regular sheep, the Template:/l is far more intimidating and has a vastly shorter lifespan. Firesheep are capable of reproduction, mostly by jerking about bewilderingly and ramming into nearby sheep in a mating ritual similar to that of suburban men in a club. The practice of producing firesheep is often referred to as "artificial incineration". In the United States and numerous other countries, sheep ignition is illegal except for religious purposes, a definition which becomes fairly nebulous once one realizes Scientology is considered a religion. For those without comedic tastes, the self-proclaimed experts at Wikipedia have an article about Firesheep. In Hindu religious rituals, sheep ignition is performed to please Vishnu with his favorite delicious treat, cooked sheep-which-has-run-three-paddocks-and-crashed-into-a-fence. When ancient Hindus opened their fourth chakra, located somewhere around the muscles used to grin after one has committed a particularly hilarious act of animal abuse, they would feast upon Template:/l in order to connect with Vishnu. A particularly plump firesheep hides behind Vishnu, who's ready with four different kinds of fork. The earliest accounted records of Template:/l were in the Hindu text, Vishnu Purana. A footnote in the text the third Dashavatara, or reincarnation of God Vishnu, mentions an abortive fourth reincarnation. God Vishnu was reincarnated as a sheep, whose herder set the farm on fire because he'd been promised a reincarnated God in dog form or better. Thus, Vishnu (who in this form was known as Varaha) became a firesheep. Varaha, who we already mentioned was the God Vishnu, then decided to eat himself. 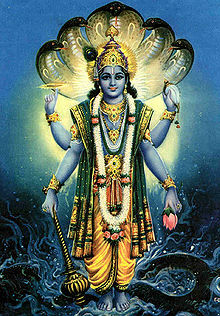 It was then Vishnu, who we've confusingly decided not to call Varaha any more, learned what his new favorite food was. The subsequent reincarnation of Vishnu, now named Narasimha, was in the form of a half-man/half-lion; optimized for hunting Template:/l, with the jaws of a lion to crush the necks of livestock and an opposable thumb for using a lighter. This craving continued and Parashurama, the son of the rishi Jamadagni and his wife Renuka, was found to be the sixth Dashavatara of Vishnu after a particularly abusive episode from his father. Instead of saving his brothers from being turned to stone and his mother from death, Parashurama used the two wishes granted by his father (who had a particularly strange sense of reward and discipline) to wish for a herd of sheep and a flaming torch. Following this series of reincarnations, several Hindu sects adopted Template:/l as a main dish in their culture, alongside vindaloo, rogan josh and satellite. Almost 80% of rural Indians still munch on the fiery livestock today, and the other 20% will tomorrow after the store orders some more butter naan. During Gupta rule, Indian influence expanded Eastward as fast as a panicked, smoking sheep could carry it. The influence was particularly notable in Java and Bali, where the volcanoes of the islands allowed large herds of Template:/l to flourish and roam across the island bringing flavor and third-degree burns to all. The practice was only banned after an attempt to cook a particularly fat ewe resulted in the eruption of Mt. Agung; the perpetrators were absolutely lambasted for their foolishness. This isn't actually a firesheep, its just a normal sheep playing a game of 'the floor is lava'. Marco Polo's first meal shared with Pandyan of Tamilakkam was the leg of a Template:/l. Polo decided to bring the tasty food to Europe, however attempts to transport the Template:/l on wooden ships were obviously doomed to fail. Ya know, 'cause sea monsters are always attacking to get some tasty Template:/l. Today, India is not the only country to enjoy Template:/l as it has become a stickered favorite in various McDonald's chain-restaurants scattered across the globe; well, mostly those staffed by pyromaniac teens. After India, New Zealand was the first country to adopt firesheep as a delicacy, although in New Zealand cuisines the ignition is usually started by friction rather than the traditional incendiary reincarnation. Since the 1980s, New Zealand has been importing more Template:/l than any other food, and is known to export firesheep to other lands such as Bahrain, Woolloomooloo, and Rammstein Airforce Base. Firesheep was popular in the United States until around 1933 when pro-alcohol activists stormed the streets of the country's most popular cities, shouting "My god! If Template:/l can be eaten only to burn my breath and ouch my pink tongue until it turns black, why the hell can't I at least get a drink while I do it?" The 21st amendment repealed the 18th Amendment, which outlawed alcohol usage. The 21st Amendment also made Template:/l illegal for any other purposes which is not of a religious value. This isn't actually written in the Constitution, but who believes in strict Constitutionalism any more? Many other countries followed suit, fearful the United States would attack them for being different. Not much after three minutes. Mostly smoldering. …and then you’d probably better get your oven mitts. This page was last edited on 25 November 2014, at 09:01.